Yesterday was my 63rd birthday and after spending the last 5 months writing posts for perdaily, I would like to reflect on why education reform is so important to me. When I used to teach history, I always started out class by having the students read the front page of the Los Angeles Times while I took the roll and did the our mundane classroom maintenance tasks. In confronting student reticence about the relevance of reading today's newspaper in a World or American History course, I would respond that if I could not connect what was on the front page of the paper to what we were studying, I would not have them read the front page of the newspaper anymore. There were two stories that caught my eye this morning as I was having my breakfast, one was about a young woman in Afghanistan who had been murdered because she refused to be married to her cousin and the second one was about economically necessitated cuts to arts programs and threatened the very existence of programs like the Watts Towers Art Center. What could these two apparently unrelated stories have in common for me? Then it struck me that to some extent, being educated precludes the understanding of what life is like in societies where custom and superstition maintain hegemony of what a people are and what they can be. By either consciously or unconsciously relegating education to a position of secondary concern, all the benefits we have taken for granted in what has been a dynamic heterogeneous society are called into question. True education by definition requires the freedom to express minority ideas that deviate from orthodoxy without the fear of reprisals. Galileo's life was threatened because he challenged the notion that the earth was the center of the universe. Would anybody have had the guts to question the accepted practice of blood letting as a cure for disease, if they thought it would have cost them their lives. 1. Is the body reacting to the ever changing threats that will always challenge our society's continued well-being? 2. 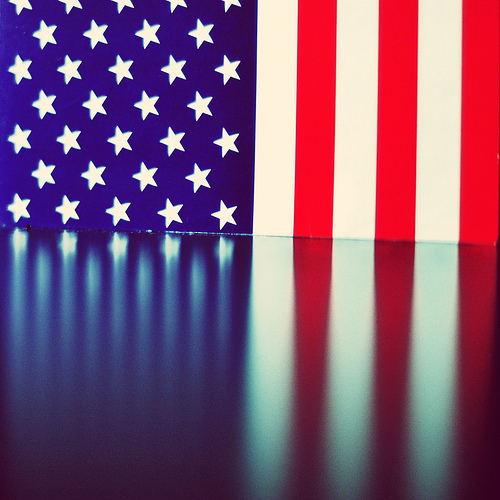 Do we have a static view of what it is to be an American? 3. Is the whole of our society greater than all the varied contributions that individuals who make it up contribute? The critical factor in achieving these goals is education, because it is the transmission mechanism of generational knowledge achieved in any society. In Afghanistan and many other underdeveloped areas of the world education is a static process that transmits given truths that it is taboo to question. Frashta was a young Afghani woman who was murdered by her great uncle for refusing to marry her cousin. Although Frashta thought of her cousin as a brother, because she had been raised with him after her father had been killed in the war with the Soviets and had been drugged and allegedly sexually violated by her cousin when she was asleep, this made no difference. "Police tracked her down and charged her with leaving her husband, a crime and an affront to the patriarchal order." Frashta was "sentenced to five months in prison." While this is undoubtedly an effective way to avoid the more than 50% divorce rate we have in California, would we as Americans want to live under such a system? Okay guys, seriously! In an Afghani society where people like Frashta normally have no last name, are we fighting for our collective values as Americans or to support a repressive and ignorant Afghanistan that violates the fundamental tenets of enlightened Islam, which has been one of the world's greatest repositories of knowledge that we all have benefited from? But we do not have to go to Afghanistan to find those who would poke their own eyes out so they don't have to deal with realities they also find inconvenient to their static view of the world. Whether it is revisionist textbooks in Texas or the continued legacy of the Scopes Trial where Creationism is still offered as an alternative to science and evolution, one might have less tolerance for the American Talaban than those in Pakistan and Afghanistan that have no way of knowing better. As we continue to allow static and formulistic failed models of education that transmit given truths that it is taboo to question, aren't we engaging in a similar deconstructive process that ultimately moves toward the repression we continue to see around the world? When the Los Angeles City Council has to "scrounge for money" to maintain our programs in this city, are we still educated enough as a people to realize this self-inflicted calamity is necessitated by wars of questionable justification that are responsible for the financial mess we presently find ourselves in. Bees build a beehive, where your status in that society is determined before birth. While this seems to work pretty well for bees, ideas like "all men are created equal and endowed by their creator with certain inalienable rights" seems to aspire to something better for our species. As long as we keep limiting our own potential as a people by determining before birth who gets the royal jelly and who gets the royal shaft, we will not only fail to reach our potential, but most assuredly undermine the viability of the body politic.